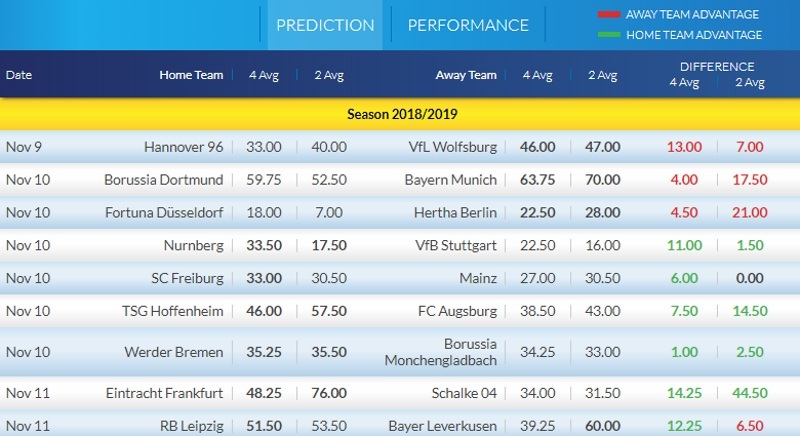 Here are the odds and ratings for the upcoming matches in Bundesliga I and II this weekend. A few interesting games. Let us know your thoughts down below! Hannover 96 conceded at least 1 goal in each of their last 8 matches in Bundesliga. 70% of Wolfsburg's matches had over 2.5 goals scored in Bundesliga. 70% of Hannover 96's matches had over 2.5 goals scored in Bundesliga. Hannover 96 have conceded 2 goals or more in each of their last 3 matches in Bundesliga. 35% of Paderborn's conceded goals occurred after the 75th minute in II Bundesliga. MSV Duisburg have been undefeated in their last 4 away matches in II Bundesliga. 72% of Holstein Kiel's goals have been scored in the second half in II Bundesliga. The Bundesliga throws up an interesting clash on Sunday at 5pm when Eintracht Frankfurt entertain Schalke at the Commerzbank-Arena. Both sides will fancy their chances coming into this game with the home side enjoying a fantastic start to their campaign and the visitors finally starting to pick up wins after a shocking opening period to their campaign. Eintracht Frankfurt are positioned in 5th place in the Bundesliga and they are only 2 points off the pace of the Champions League qualification spots. Adi Hutter's men are exceeding expectations and have won 4 and drawn 1 of their last 5 league games. Throw in the fact they have won 4 of their 4 group games in the Europa League to guarantee their place in the competition's last 32. Schalke started the season appallingly losing all five of their opening league matches. Domenico Tedesco's men have started to get their act together with just 1 loss in their last 5 league games. 3 wins in those matches shows they have also re-discovered the habit of winning games. This is a tougher game to call than one might think. Despite 9 places and 7 points separating these two sides in the league table there's actually not too much difference between them now. Schalke's form in the Champions League has helped them find their form again. They've not conceded a goal in their last three Champions League games. Three clean sheets in their last five league games also suggests they are transferring that tight defensive record from Europe into domestic action. I can see this being a game where they might scrap a draw. Eintracht Frankfurt are far from convincing at home having only won 50% of their home games. Schalke might have the 13th best away record in the Bundesliga but they are gaining confidence with every game. The trouble is that they come up against a rampant Eintracht Frankfurt side so they might have to hope for a draw as a best case scenario. At the odds available, I think the best value is the home win. @Magic0024, @malabgd, @sajtion, @betcatalog, @DrO, @Neubs, @Xcout, @Banter1, @Bayern, @DonPaulo, @fhuefdsa, @Franger83, @Uriel18, and @JKos, what are you guys betting on this weekend? Both have a Game 2 Weeks ago in Cup where Wolfsburg win 2:0 in Hannover. Today i see it also with AW. Hannover under big pressure. Young Squad and today withouth important and experience Players Füllkrug, Schwegler and GK Esser. Also many trouble´s in the whole Club about President Kind. Also some Fans are angry about the Performances - so in last Home Game some "Fans" chanting "Buh" for the own Team and thats not good for that young Squad. Wolfsburg with no important missings and in my Opinion a good Squad and a good Starting XI to take advantage about that Facts around Hannover. FSV Mainz have scored 43% of their goals after the 75th minute in Bundesliga. FC Augsburg have scored in each of their last 5 away matches in Bundesliga. 70% of Dortmund's matches had over 2.5 goals scored in Bundesliga. 90% of Hoffenheim's matches had over 2.5 goals scored in Bundesliga. Bayern Munich were leading at halftime in 60% of their matches in Bundesliga. The most commercial match of the day in Europe is held in Bundesliga and is nothing more than Dortmund's derby with Bayern. Borussia has a four-point difference from her current opponent and is a great opportunity for her to go to +7 the distance to stop the tournament. On the other hand, the Bavarians with a victory drop to -1 and everything starts from scratch. RB Leipzig have scored 26% of their goals in the first 15 minutes in Bundesliga. 70% of Leverkusen's matches had over 2.5 goals scored in Bundesliga. 46% of Frankfurt's conceded goals occurred after the 75th minute in Bundesliga. 70% of Schalke 04's matches had under 2.5 goals in Bundesliga. Both have 17 points and are close in the standings. 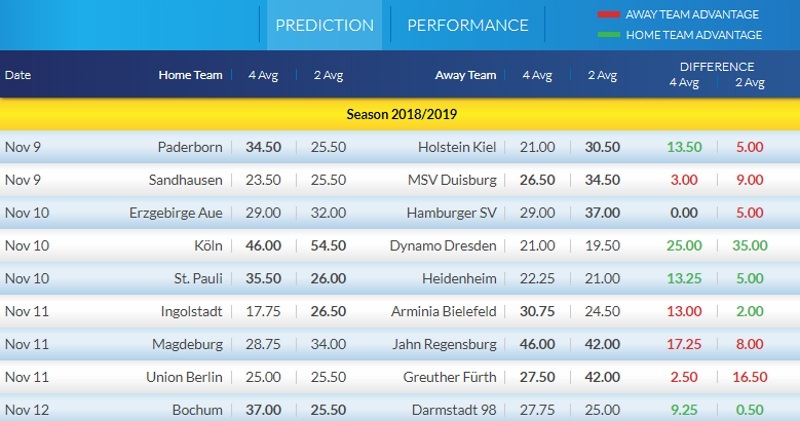 In the H2H the stats are for Bochum and they havent lost in their last 4 games. So, I'll go with them @ 2.070 with pinnacle.